We believe that your story should be archived for future generations. we believe in moving stories off your computer and into your life. We believe that to truly appreciate your wedding photographs they need to be printed. Our albums are all designed in our studio, hand crafted and printed by our Master Printer using premium pigment based archival inks which won’t discolour over time. 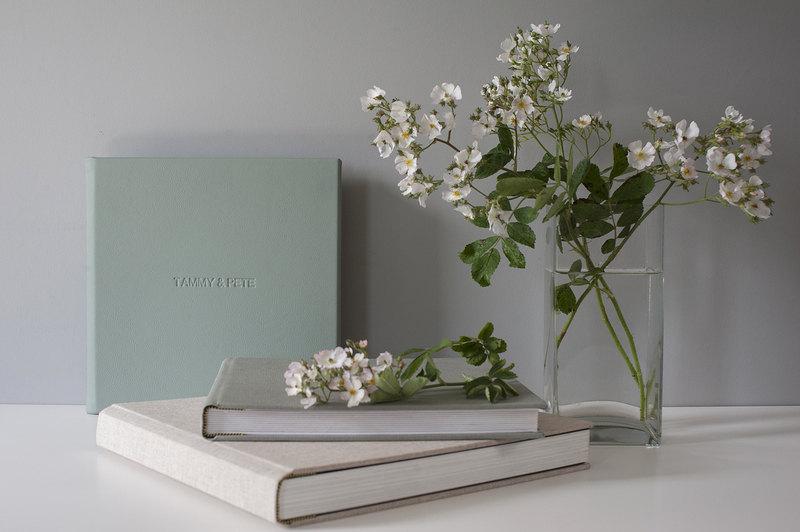 Our Fine Art Albums open out flat with an almost invisible crease, so you can put your favourite photographs across two pages. We have a variety of paper to choose from including Metallic and Fine Art and over 20 cover materials including Leather Hyde, Silks & Linens. Hi, I am looking to see if you can send me any packages you have and prices. I have set a date for 16 December 2016 at Darver Castle. Hi Michelle, Thanks for your comment. If you’d like to send me an email to photography@sarahfyffe.com I’m happy to send you our 2016 Wedding Collection. You can also contact me through the contact form on my website. Hi Sarah, I’m just wondering if you could send me your wedding brochure/price list please. If possible could you send me your wedding brochure. Booked our wedding date for March 2018.